Excelsis added to its broad list of choral repertoire by performing an evensong at St Thomas-on-the-Bourne, Farnham, on Sunday, 14 June 2015. Evensong services are traditionally held in the evening, with the majority of the service sung by a choir. 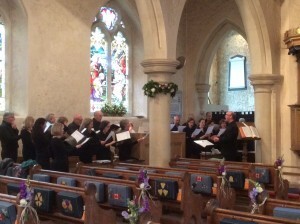 Excelsis participated with works ranging from Josef Rheinberger’s beautiful Abendlied to Herbert Brewer’s Magnificat and Nunc Dimitis in D, which made the most of the church’s acoustics. This entry was posted in In The Press on June 25, 2015 by Barbie McSean. 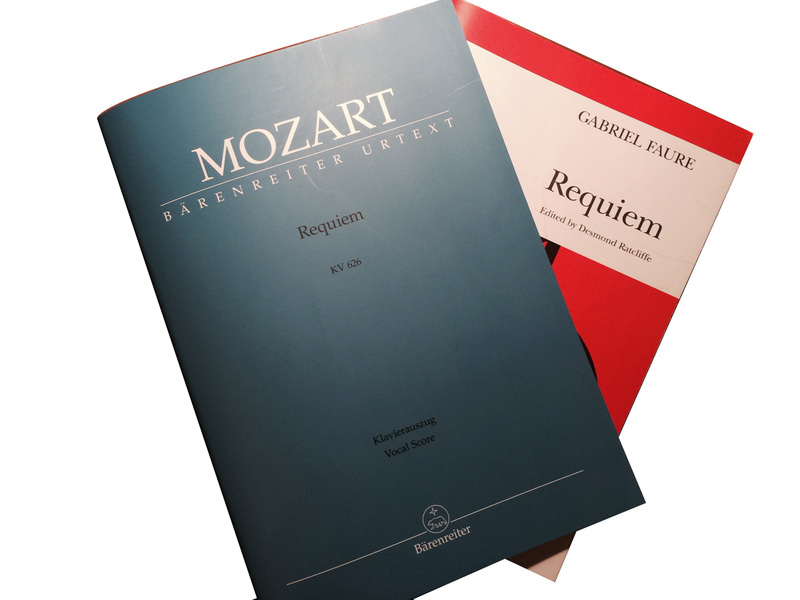 Excelsis will perform the Mozart Requiem and the Fauré Requiem on Saturday, 14 March, for the opening concert of Grayshott Concerts’ 2015 season, conducted by Rob Lewis. The chamber choir will be accompanied by the London Mozart Players and joined by familiar soloists Lucy Knight and Håkan Vramsmo, as well as Rebecca Afonwy-Jones and Paul Curievici. Soprano Lucy Knight performed with Excelsis for the world premiere of Karl Jenkins’ The Healer – A Cantata for St Luke, in 2014. London-born Knight read Music at Cambridge University and trained at The Guildhall School of Music and Drama and English National Opera. She is a 2013 International Opera Awards Foundation winner and recipient of Making Music’s Philip and Dorothy Green Award for Young Concert Artists. She made her US concert debut as the soloist in the US premiere of The Healer at Carnegie Hall, New York. Håkan Vramsmo also shared the stage with Excelsis when he sang the baritone solo in The Healer. He has appeared at major venues and festivals including the BBC Proms opening night and has recorded for BBC, Signum Records and Chandos Records. Vramsmo teaches singing at Citylit Institute in London and masterclasses at Koninklijk Conservatoire Brussel. Making her first appearance with Excelsis and Grayshott Concerts is Welsh mezzo-soprano Rebecca Afonwy-Jones. She studied at The Guildhall School of Music and Drama and is a graduate of the Alexander Gibson Opera School at the Royal Conservatoire of Scotland. Afonwy-Jones was a Scottish Opera Emerging Artist for 2010-11. Tenor Paul Curievici studied at The Guildhall School of Music and Drama and made his debut with the Royal Opera House Covent Garden in performances of Gerald Barry’s The Importance of Being Earnest at the Linbury Theatre. Curievici won the Scottish Opera’s John Scott Award and the Basil A. Turner Prize awarded by British Youth Opera. This entry was posted in In The Press on March 13, 2015 by Barbie McSean. 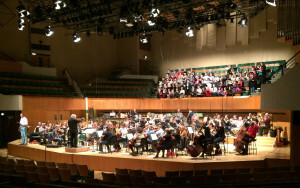 Following the performance of “The Armed Man” with the BBC National Orchestra of Wales and Cor Caerdydd at St David’s hall Cardiff in November 2014, the BBC has announced that the concert will be broadcast on BBC Radio 3 on Friday 9 January 2015 as part of the Afternoon on 3 programme. This entry was posted in In The Press on January 4, 2015 by Barbie McSean. Following the World premiere performance of The Healer, several members of Excelsis will be travelling to New York in January 2015 to perform in the US Premiere of the work. The Concert is part of the DCINY concert series to mark Martin Luther King Jr Day on Monday 19 January 2015 and will mark Excelsis’ debut performance at Carnegie Hall. Karl Jenkins will be Composer-in-Residence for the weekend of rehearsals, with Dr Jonathan Griffith, DCINY Artistic Director and Principal Conductor, leading the Distinguished Concerts Orchestra and Distinguished Concerts Singers International. Lucy Knight (soprano), who sang at the World Premiere at St Luke’s Grayshott in October 2014, will also take to the stage with Mark Watson (Baritone). Peter and Vivien Harrison, of Grayshott Concerts, will also be present at the US Premiere, which marks the first international performance of the work that they commissioned from Karl Jenkins to mark Grayshott Concerts’ 10th Anniversary. Following the success of the World Premiere series of concerts in October 2014, Excelsis is thrilled to be invited to give the first concert of the 2015 season of Grayshott Concerts. The concert – the World’s Best Loved Requiems – will see Excelsis performing with the London Mozart Players and conducted by Robert Lewis, Excelsis’ Director of Music, in Mozart’s Requiem and also the Requiem by Faure. 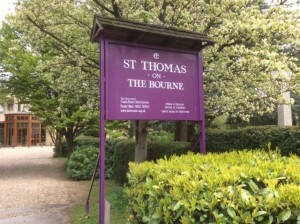 The concert will take place at St Luke’s Church, Grayshott on Saturday 14 March 2015. This entry was posted in In The Press on January 3, 2015 by Barbie McSean. 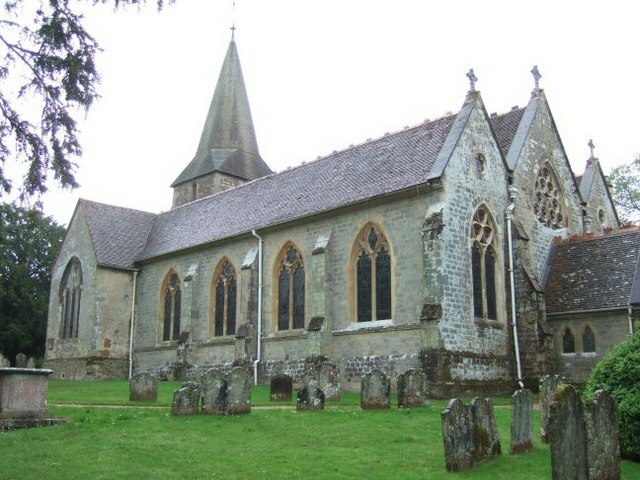 Excelsis was delighted to be part of the Wedding Celebrations of Catherine Keyser and Chris Ellerker which took place on Saturday 29 November 2014 at St Mary’s Church, Bramshott. This entry was posted in In The Press on November 29, 2014 by Barbie McSean. Just a couple of weeks after the World premiere performances, Karl Jenkins invited Excelsis to join Cor Caerdydd for the final concert of the Karl Jenkins 70th Birthday Concert series at St David’s Hall, Cardiff. 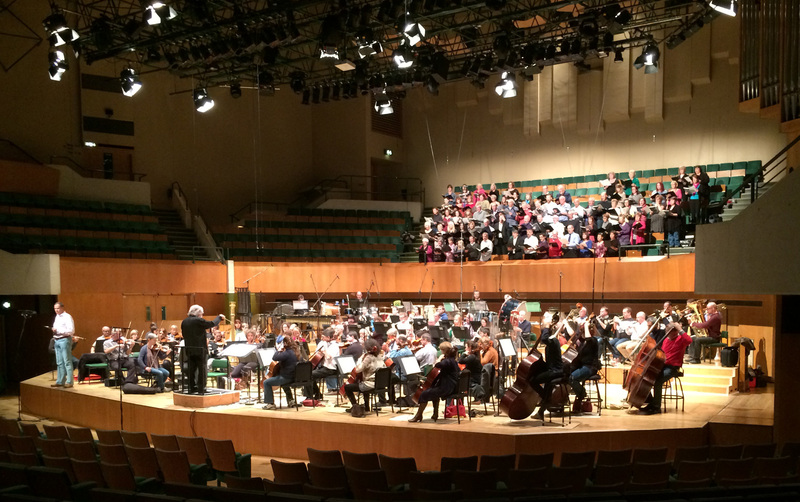 The joint choirs performed “For the Fallen” and “The Armed Man” with Karl Jenkins conducting the BBC National Orchestra of Wales. The concert was recorded for broadcast by BBC Radio 3 in early 2015. This entry was posted in In The Press on November 16, 2014 by Barbie McSean. This entry was posted in In The Press on October 21, 2014 by Barbie McSean. 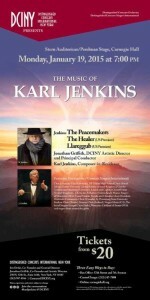 Excelsis will be performing a new work By Karl Jenkins commissioned by Grayshott Concerts to celebrate its 10th Anniversary. 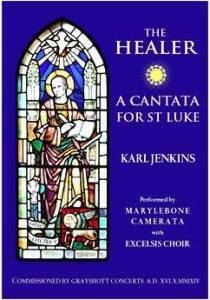 The new work The Healer – a cantata for St Luke is written for soprano, baritone, mixed chorus, oboe/cor anglais, strings and percussion. Excelsis will be performing with the Marylebone Camerata, soloists Lucy Knights(soprano), Hakan Vramsmo (baritone), Rosie Jenkins (oboe & cor anglais) and Zands Duggan (percussion), conducted by the composer in person. 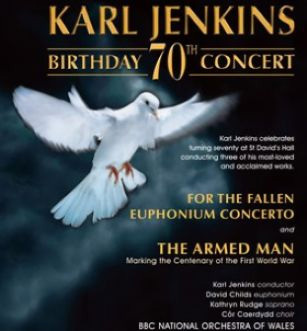 In the all Jenkins’ concert, other works to be sung by Excelsis include the Benedictus from The Armed Man and the Te Deum, which will be conducted by our Director Of Music Robert Lewis. The concert will also be recorded for broadcast by Classic FM on Tuesday 28 October 2014 at 8pm. This entry was posted in In The Press on October 16, 2014 by jack.